New start time: This event was originally scheduled for 12:15PM, but it is now scheduled to begin at noon. Artists have the power to make change in the world through their work. For this discussion, Tanya will be joined by performance artists Maria Hupfield, Anishinaabe Native American from Canada and a member of Wasauksing First Nation, Ontario based in Brooklyn NY, and Anna Tsouhlarakis, Navajo/Creek, originally from New Mexico and currently based in Washington, DC. This discussion will include live performance and video and will be moderated by Stacy Kosko from the UMD Minor in International Development and Conflict Management and the Department of Government and Politics. 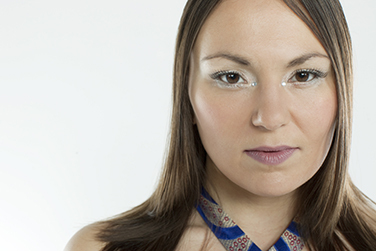 These amazing women will discuss the effect that creativity can have on social movements and social change, and how their Inuit and Native heritages have influenced their lives, their creative process, and their work.